Power Electric Services Ltd - Electrician based in Newhaven, East Sussex. From a simple plug socket to your whole house rewired PES has all your electrical needs covered – and all at great value prices. Better still, our work is designed to last so peace of mind comes as standard. As you would expect, our electricians are fully qualified and all our work is compliant with building regulations. We’re fully insured too, so you’re covered on all fronts. Reliability comes as standard – we stick to our quotes and turn up on time (or, if we’re running late, we’ll call you straight away). We appreciate that having workmen in your home can be a nuisance too, so we do everything possible to minimise the disruption, plus we always clean up after ourselves. We think we provide an outstanding service and our many satisfied customers agree –click here to read what they have to say. Need a professional electrical engineer? Then PES can help – we approach every commercial electrical job with one aim in mind: to save you money. That’s easy to say, but what does it actually mean in practice? Our electrical services work is carried out to the highest possible standard, all while cutting down your energy consumption and helping you avoid costly shutdowns – saving you money in the short - and long term. Before starting any major project, we give you a free energy survey, which shows where you can make savings. A PES qualified electrician will then design a solution that incorporates the latest energy efficient technology. Depending on your priorities and budget, that might involve a few adjustments to your existing system, or a complete overhaul – it's your call. The savings you make will be instantaneous and, before long, you’ll have recouped your outlay. Better still, the government’s Enhanced Capital Allowance Energy Scheme gives you tax allowances for installing energy saving products. For more on this and for details of our free survey, click here. 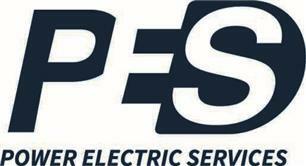 Most electrical work causes disruption but at PES, we do everything possible to keep you open for business. As well as being on call 24/7, we design smart modular systems, which can be isolated without requiring a complete power closedown. Over the years our bright sparks have saved our Sussex clients huge sums. To read what some of them have to say, click here. We also offer great value maintenance plans and, of course, a full range of commercial plumbing and heating services. To find out more about our electrical services, or for a free quote or advice, call us now on 01323 894782, or email[email protected].